Dr. Leonard Tyko is passionate about his work and loves restoring smiles through oral surgery. He is a board-certified oral and maxillofacial surgeon. He’s also a physician, dentist and fellow of the American College of Surgeons. Dr. Tyko earned his bachelor’s degree from UC Riverside, his dental degree from UCLA, and his medical degree from the University of Texas, Houston. 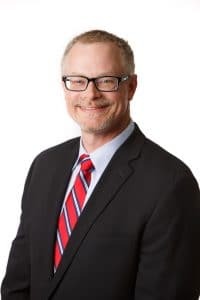 Upon completion of his general surgery internship and oral and maxillofacial surgery residency, Dr. Tyko returned to his home state to join our practice in 2000. In addition, Dr. Tyko is Chief of Dentistry and serves on the facial trauma team at our neighboring Santa Rosa Memorial Hospital. He is past-President of the California Association of Oral & Maxillofacial Surgeons. Dr. Tyko embodies the spirit of service that is at the heart our practice. He served as President of the California Association of Oral and Maxillofacial Surgeons in 2016. He advocates for quality oral health legislation and volunteers with California CareForce to provide free medical, dental and vision care to people in need at mobile health clinics across the state. He lectures regularly at Santa Rosa JC and Sonoma State, hosts industry seminars and offers continuing education courses to medical and dental professionals throughout the region. Outside the office, Dr. Tyko enjoys being with his four children, coaching Little League, mountain biking and mountaineering—mountain biking, hiking and mountaineering— he hiked the Inca Trail to Machu Picchu and successfully summited Mount Shasta, Mount Kilimanjaro in Africa and Mount Blanc in France! Learn about the advantages of dental implant-supported dentures by reading Dr. Tyko’s and Dr. Wilson’s Q&A! Dr. Leonard Tyko and his Team are by far the best in Santa Rosa. Not only do they make you feel like family they go the extra mile in the recover process i highly recommend this place to anyone looking!!!!! Dr. Tyko has performed 3 tooth extractions for my 6 year old. He is a remakably professional and caring physician who my son finds very interesting. Dr. Tyko is very good with kids and understands what parents are thinking when they hear that a tooth has to be pulled. Overall, his bedside manner is great and I couldn't expect anything more from a physician, given the circumstances he works with. The fact is, no one wants to have oral surgery, but Dr. Tyko does everything he can to make the experience positive. My son had to go in for an extraction. We were able to go for a consultation, and book the procedure shortly after. The staff was extremely friendly and Dr. Tyko was amazing! He explained what to expect, and when we came in they were super fast! My son was super comfortable and healed beautifully! I highly recommend Dr. Tyko and his staff. They are the best! Dr. Tyko is realllllllly nice, FAST, and professional. I wasn't fond of the idea of having a wisdom tooth removed (As I am sure nobody is). Initially I came in for a consultation...but they had space available to extract my tooth right then and there (I came with a referral and an xray). He walked me through the steps...and was even kind when I was sarcastic (Jitters???). Before I knew it the procedure was over. I never felt a thing and within 50 minutes of being in the office I was out the door with care instructions and relief! It was...maybe...kinda fun tool. :-P Thanks, Doc! What an outstanding group! I normally don't give reviews for surgeons, but if you have a mouth problem Dr. T is your guy! You saved me from pain, and fixed my mouth, a brighter smile today is thanks to you! I just complete a tooth implant procedure performed by Dr. Tyko. The surgery performed about three months ago was a breeze ... no pain with minimal discomfort. Dr. Tyko himself phoned me in the late afternoon to ensure all was well with me. In addition Dr. Tyko's staff was caring, knowledgeable and professional. If i ever need another oral surgery procedure i will certainly use Dr. Tyko and his team. Dr Tyko and his staff are wonderful! I had an extraction w/bone graft & sinus lift prior to placement of an implant, and from start to finish the care I received from everyone involved was exemplary. Dr Tyko was able to extract, fully intact, an upper molar that had not only had previous root canals, but root amputation as well. The process was quick and absolutely painless! Dr Tyko is a consummate professional with a relaxed and reassuring chairside manner. I had complete trust in his expertise and I never hesitate to recommend him wholeheartedly to others. A+! Dr. Tyko and his staff are THE BEST oral surgeons in Sonoma County and I have ever been to. Five stars to Dr.Tyko. He is a very kind,caring and compassionate surgeon. He makes the whole experience of a tooth extraction and implant seem very easy. He is so good at what he does you can't help but be at ease with the procedure. No pain after,and a very quick recovery! His office staff and his assistant Amy are also totally amazing. I would never choose to go any where else. It has been 2 years since my several visits with Dr Tyco, and the implant is remarkable. He is absolutely the best! His office staff is fabulous, he is warm and involved in the patient care. I do not feel I was over charged at all. I can eat meat again. ! I had put off having my wisdom teeth out until I had a major problem. My dentist recommended Dr. Tyko and I am so glad they did! I have sleep apnea, so anesthesia was out of the question for me. Dr. Tyko was very kind, professional, gentle and caring. I got a valium to take before the procedure and the laughing gas during the procedure. There were several injections involved, but with Dr. Tyko's skill I did not feel much at all. My wisdom teeth had large roots and Dr. Tyko was quick and gentle at getting them all out. Afterwards I went home to rest and got a call from the doctor later that day to see how I was. My healing was very quick with minimal discomfort. Dr. Tyko did an outstanding job and we had great communication! Dr. Tyco and his staff are the best. This is the second implant that I have had done at the office. Everything, like the first implant, went smoothly with no complaints. Awesome care . easy location to find,great staff, clean facility! Dr. Tyco is a awesome Dr.. I normally don't write reviews, but I had to make an exception for this wonderful firm. Long story short, I knocked my front teeth out while mountain biking. After seeing an emergency dentist, I was told I needed oral surgery immediately and was referred to Dr. Tyko. He saw me the same day. Other oral surgeons should take notes on this guy. He's very professional, down to earth, and seemed genuinely concerned about my recovery. He answered all of my questions and was very transparent, and was even quick to return my phone call when I had a question for him. Even though he wasn't covered by my insurance, I will absolutely return to him for my second surgery in the next month simply because I feel at ease knowing that he'll be handling the procedure. And, God forbid, if me, my friends or family require such services in the future, he'll be first on the list. I recommend Dr. Tyko and his excellent staff to ANYONE. I was very happy with Dr. Tyko and his staff. They made me very comfortable and took all the fear out of this process. Highly recommend and will return with any issues. My son needed multiple implants due to no adult teeth every forming to take the space of his baby teeth - Dr Tyko was very informative at the first appointment, he was also receptive to all of our questions - we decided it was best for us to do all implants in one session - Dr Tyko was fantastic and supportive of this decision. My son had a wonderful experience, needed very little recovery time once home and was followed up with by both Dr Tyko and the staff by phone and office visits. Highly recommend Dr Tyko for any oral surgery needs! 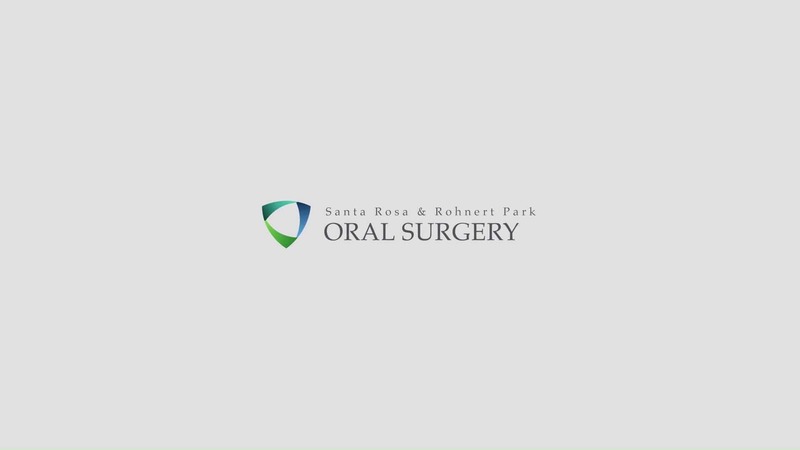 I am very happy with my experience at Santa Rosa Oral Surgery. Dr. Tyko is definitely one of the best! He got to know me and asked me about my concerns regarding my surgery. Dr. Tyko called me the evening after my surgery and had two follow up appointments to make sure I was healing and everything looked well. It was a very personal experience. His staff is all very well trained and experienced. It was an all around good experience for me. You can't find a more caring, careful, professional oral surgeon on the west coast. I just had one molar pulled and two implants put in my very sensitive mouth and I am writing this review 12 hours after the procedure. Dr. Tyko went over everything at our initial consultation and I was prepared for a couple of days of bed rest and a bit of pain and having to do those terrible pain killers. I took an anti-biotic and a pain pill when I got home and waited for the novocaine to wear off. It wore off about 4 hours after the procedure and to my surprise I had almost completely stopped bleeding and the oozing was very minimal and I didn't need the pain pill as there was almost no pain. Not even when the pain pill wore off 4 hours later, I am still mostly pain free, just a little soreness. Nothing that an Advil won't take care of. I don't even have any swelling at all. This is very rare as I usually swell up like crazy after a procedure like this. Dr Tyko's chair-side manner and his staff are top notch and their first class treatment is evident in every part of the visit to their upscale office. Even the space in the rooms is bigger than average and the place is very well designed and immaculate. The ladies upfront are sweet as sugar, ok stevia, sugar is getting a bad rap these days, and the assistants make you feel right at home as they prepare you for your treatment. When Dr. Tyko came in and inserted the IV, painlessly I might add, he gave me that feeling of re-assurance that was just what I needed to hear before drifting off to dreamland while they performed their magic. When I awoke, once again I felt totally at ease. The ladies had a caring smile on their faces and a quiet tone to their voices. They assisted me in coming back to reality and getting me into my ride home. This is so different from any other oral surgery I have ever had, and I've had 4 other similar treatments. Dr. Tyko even personally gave me a call later in the day to check up on me. Thats what I call a really concerned, caring and dedicated oral surgeon. I recommend Dr. Tyko with the hopes that you will take the time to get an opinion from the best. This is the only oral surgeon I will ever use again. If I'm at my place in Maui, I'm coming over here to get the work done. Believe me it is worth your time to have Dr. Tyko give you a consultation on any type of work you are getting done, no matter what referral you have, THIS IS THE MAN TO SEE!! I was recently seen by Dr Tyko. Not only was I pleased by his immediate diagnosis and procedural time in correcting my situation but by the comfort, cleanliness and efficiency of his office and staff. Dr Tyko was very knowledgable and put me at ease moments after I arrived! His office is very comfortable; from the professional decor down to the very creative art work he proudly displays from his children! If I ever am in need of his expertise again I will undoubtedly retain his services. I am forever indebted to Dr. Tyko, he took excellent care of my elderly Mother. He and the entire staff went out of their way to accommodate her and comfort her; he is so gentle, patient, and does fabulous work. I am forever grateful.